Smoothies are wide-ranging and vary from protein-enhanced to traditional fruit smoothies. A preferred smoothie can depend on a variety of factors like nutritional needs, lifestyle, and health. Trial and error with several different ingredients to see which combination of fruits, vegetables and other ingredients give the right results. Whether a smoothie is needed to boost the energy or give variation to a restricted diet, a nutrient dense smoothie is certain to help with promoting the all-round well being. Another aspect that needs careful consideration relates to the general health and well-being. Anyone suffering with constipation or similar digestive complication can benefit from a healthy fruit or vegetable based smoothie. A reason for the positive benefit to the digestive system is the ability for the body to easily absorb the consumed nutrients with minimal effort. Plus, the rich fiber content in most smoothies is certain to ensure the regularity of the bowel movement. Plus, digestive health can be improved with the addition of probiotics – although for those that are lactose intolerant it might benefit to replace the yogurt with soy or almond milk. The best healthy smoothie is certain to relate to the lifestyle and prep time available. A busy lifestyle can benefit from a smoothie combination that is super simple to create while still including 3-5 healthy ingredients. If more time is available in the mornings it is possible to prepare the more complex smoothies. A family home with children to consider is certain to benefit from the smoothies that place taste as a major component. A kid-friendly smoothie includes a combination of frozen banana, honey, yogurt, avocado, and peanut butter. This is nutritionally balanced and certain to give the desired taste to the children. Plus, making a pleasant tasting vegetable based smoothie is able to help introduce more vegetables into the diet. A combination of rich berries with broccoli or similar healthy vegetables is certain to help conceal the flavor. Experiment with at least 5 ingredients to help create the perfect smoothie that offers the desired health and taste qualities. A healthful smoothie contains healthy fats, dairy products, carbohydrates, and protein. A well-balance smoothie is certain to benefit the more active person in need of liquid refreshment that is satiating and energizing. A smoothie is made more filling by including protein elements such as macadamia nut butter or almond. Alternatively, add 1 tablespoon of protein powder like whey to give a simple and efficient boost. Whey protein powder offers the benefit of being easily digestible and is sourced from milk. Also, this protein has the ability to prevent loss of bone density, diabetes, and heart disease. 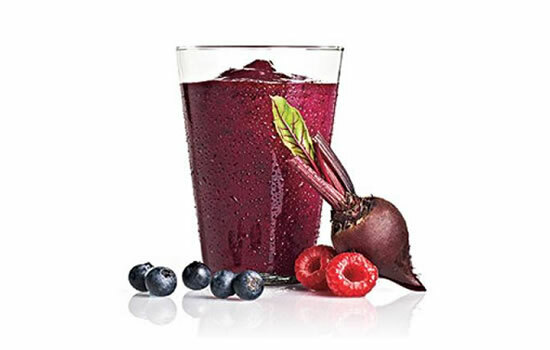 Other healthful components to include in the smoothie include healthy fats like flaxseed and olive oil. Fats are needed to support cellular health and development. A smoothie can vary from the high calorie dessert to a light and nutritious snack. By paying attention to the added ingredient it is possible to maintain the healthy snacks that can avoid the extra sugar intake.